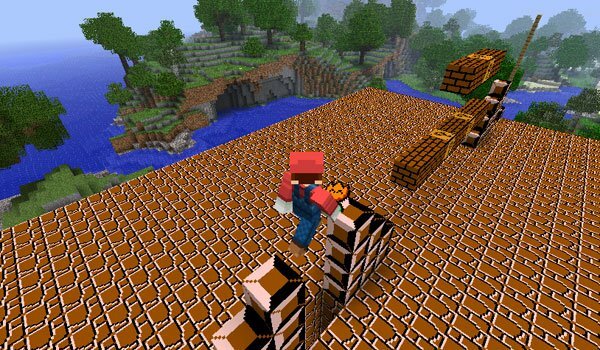 Super Mario Mod 1.7.2 and 1.7.10 provides you with several blocks inspired by the legendary game character Mario. These blocks can be used to create your own atmosphere. But this is not the end, the mod adds new weapons, tools and armor, as well as the known Boo, Goomba, Bob-Omb, Koopa, Cheep-Cheep and Bullet Bill, now as mobs of Minecraft. Remember that, if you want, you can use Mario Skin and Luigi Skin. How to install Super Mario Mod for Minecraft 1.7.2 and 1.7.10?